Dear Hillary, Please be patient! The Secretary of State remains a patient. She is still under the care of a team of doctors – specialists – who know a great deal more about her condition and its ramifications than most of us here and than Mme. Secretary herself. 1.a person who is under medical care or treatment. 2.a person or thing that undergoes some action. Something in an article in today’s New York Times caught our eyes and caused concern. Bells, whistles, sirens went off. Here is the paragraph in question. Um … right, Mme. Secretary. It does require a certain level of patience. That is why you are a patient – yet. Please, please, please … defer to the opinions of your expert medical team. Do not try to encourage them. Listen to them. Nothing is so urgent and important as your own well-being right now. We all know of your considerable persuasive powers. At the moment, rather than persuading your doctors of your ability to carry off these last weeks in the style you had planned, we beg you to attend to their advice and move forward only as they recommend. You are Secretary of State, and we well know your responsibilities. We have followed you from your days as FLOTUS and NY Senator. But right now, dear heart, you are a patient. We know you don’t like that, but that is the case. Please listen to your doctors and to all who love you for you – not for what you can do for them. Rest, dear Hillary. Recover. Your service speaks for you. You will be back to do everything you want to when your doctors say it is safe. We want to see you again. That is the most important thing. So please, take your time. We will be there when you come back with that dazzling smile! Readers, here is the link to the full New York Times piece from today. Another unnamed State Department official has provided a bit more information on Mme. Secretary’s progress. I am happy to see that she did have exactly the kind of attention we all had hoped for. Here is a snip. A U.S. official tells ABC News that Clinton is feeling more “like herself” and would like to go back to work, but doctors have advised it may take several weeks and want the secretary to rest. That is standard for concussion treatment. 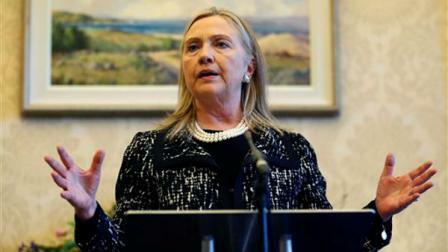 Clinton originally fell ill from a stomach virus following a whirlwind trip to Europe at the beginning of the month, which caused such severe dehydration that she fainted and fell at home, said the State Department. According to the official, the secretary had two teams of doctors, including specialists, examine her. They also ran tests to rule out more serious ailments beyond the virus and the concussion. During the course of the week, Clinton was on an IV drip and being monitored by a nurse, while also recovering from the pain caused by the fall. It is always a little dicey when a patient who is accustomed to being active begins to feel better and wants to put those skates back on. When she broke her elbow in 2009, our Hillary was an excellent patient who did everything her doctors told her to do, so we all hope that she continues to rest and mend this time as well. If you look to Philippe Reines for your information, you get short and sometimes not so sweet. His concise press release yesterday provided no details and had Mme. Secretary working from home over the coming week. We know Philippe would walk through fire to protect her, but the truth is that there are readers out here who love her just as fiercely as he does and are hungry for details and reassurances that our “prized political buttercup,” as Perez Hilton calls her, is recovering and doing just fine. So the updates today emanate from several sources. We found the following details in today’s New York Times. The fainting episode occurred after Mrs. Clinton, who is being widely discussed as a possible presidential candidate in 2016, became dehydrated because of a stomach virus she contracted during a trip to Europe, according to statements released by a close adviser and her doctors. One State Department official said Mrs. Clinton fainted when she was alone at her home in Washington but added that the concussion was not diagnosed until Thursday. He said the concussion was not severe. Acting on the advice of her doctors, Mrs. Clinton will not go to the State Department this week but will work from home, the State Department said. “Secretary Clinton developed a stomach virus, leading to extreme dehydration, and subsequently fainted,” her doctors, Dr. Lisa Bardack of the Mount Kisco Medical Group and Dr. Gigi El-Bayoumi of George Washington University, said on Saturday. In contrast to this, Dr. Sanjay Gupta reported last night on CNN that the SOS has been forbidden to work in the coming week and has been ordered on “brain rest.” He elaborated that this means no work and no newspapers. No one, hearing this, can actually imagine Hillary Clinton able to follow that particular order. We all hope Mme. Secretary is resting and are sure she is receiving the best of care. We wish her a speedy and complete recovery and see no reason why she should be returning to work until after the first of the year. Following a week out of the public eye as she fought a stomach virus, Hillary Clinton is resting at home having fainted and sustaining a concussion. 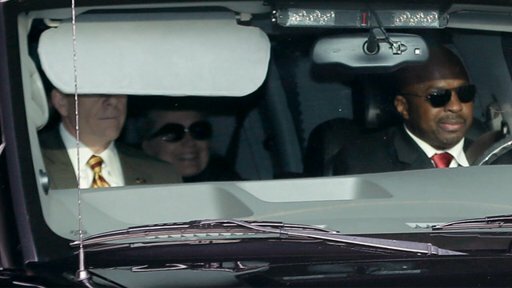 Her motorcade was spotted in Chappaqua last night, evidently returning her to her home there. MSNBC is reporting that this occurred days ago. Mme. Secretary, our thoughts and prayers are with you for a quick and complete recovery. Thank you for all of your energetic service. Now please get some rest. We love you! 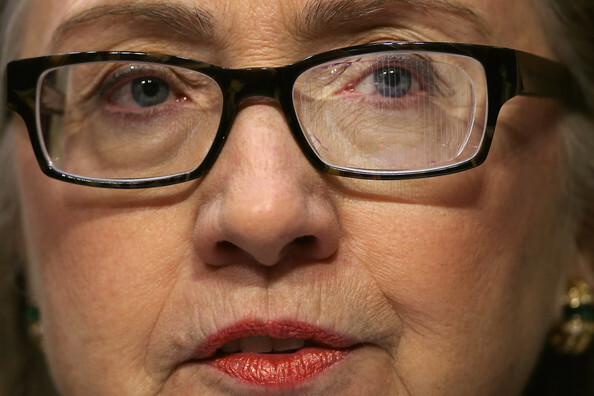 While suffering from a stomach virus, Secretary Clinton became dehydrated and fainted, sustaining a concussion. She has been recovering at home and will continue to be monitored regularly by her doctors. At their recommendation, she will continue to work from home next week, staying in regular contact with Department and other officials. She is looking forward to being back in the office soon. December 15, 2012 (WASHINGTON) — Secretary of State Hillary Rodham Clinton, who skipped an overseas trip this past week because of a stomach virus, sustained a concussion after fainting, the State Department said Saturday. The 65-year-old Clinton, who’s expected to leave her job soon after serving as America’s top diplomat during President Barack Obama’s first term, is recovering at home and being monitored by doctors, according to a statement by aide Philippe Reines. ” At [doctors’] recommendation, she will continue to work from home next week, staying in regular contact with Department and other officials. She is looking forward to being back in the office soon,” the statement read. US Secretary of State Hillary Clinton is recovering at home after suffering a concussion and plans to stay off work for the next week, a spokesman said Saturday. “While suffering from a stomach virus, Secretary Clinton became dehydrated and fainted, sustaining a concussion,” Clinton’s top aide Philippe Reines said in a statement. “She has been recovering at home and will continue to be monitored regularly by her doctors,” he added. At the recommendation of her doctors, Clinton “will continue to work from home next week, staying in regular contact with Department and other officials,” Reines said.